AJC Boston has launched it’s new website. Check it out at http://www.ajcboston.org. 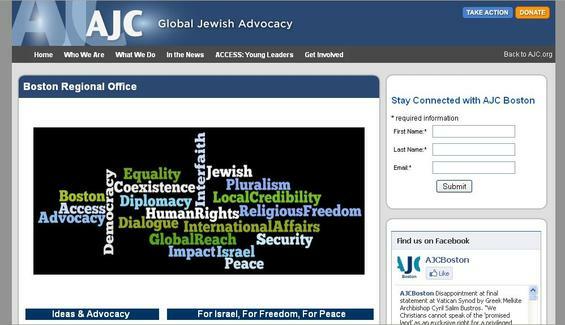 Learn about AJC’s local advocacy and global impact. Take action on the issues that matter most. Join us in advancing Israel’s pursuit of peace and security, safeguarding Jews worldwide, and promoting the human rights of vulnerable peoples.